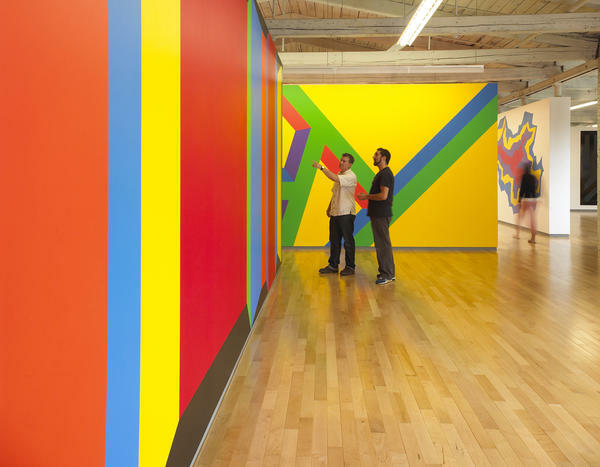 Sol LeWitt: A Wall Drawing Retrospective includes 105 of LeWitt's large-scale works. It will be on-view at MASS MoCA until 2033. 120,000 people visit MASS MoCA every year. Above, an event at the museum's Free Day in February 2012. If you ever decide to visit one of the largest museums of contemporary art in the world, prepare yourself: It's a little intimidating. First, you have to drive to upper Massachusetts, just south of the Vermont border, where you'll behold 26 hulking brick buildings: We're talking 600,000 square feet of raw, sunlit space, roughly equivalent to a mid-sized airport. Among other treasures, MASS MoCA boasts an extraordinary room of more than 100 wall-sized drawings by artist Sol LeWitt and a sound installation crafted out of a rusty interior bridge by Glenn Kotche, the drummer for the band Wilco. The entire place was created as an audacious experiment intended in part to revitalize North Adams, Mass. Like many other crumbling mill towns across New England, its economy was gutted when manufacturing moved overseas. 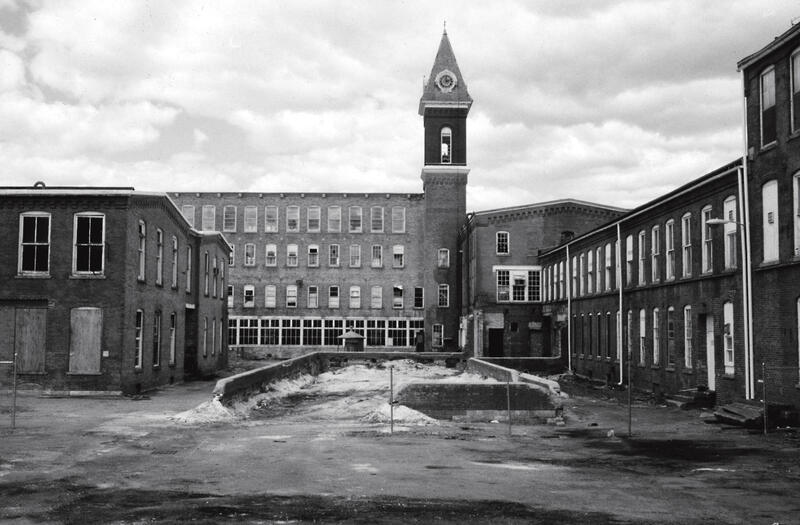 MASS MoCA's director, Joe Thompson, recalls his chat with an old-timer nostalgic for the museum's former incarnation as a textile plant, back in the days when work was work and industrial dye did not count as pollution. "She said, 'Oh, growing up it was so beautiful because on Tuesdays, the rivers flowed vermilion. On Wednesdays they were bright green.' She said you could practically keep track of the days by what color the river was. She said it was just marvelous!" But the Berkshires, with their sloping mountains thick with maples and spruce look fine today without artificial enhancements, notes North Adams' mayor, Richard Alcombright. "If you're coming over the mountain and look down, it looks like we're in the palm of God's hand," he says. Alcombright remembers when it seemed like everyone in North Adams had a job. Today, more than 20 percent of North Adams' citizens live below the poverty line. "It was just a very, very different time," he says. "Our Main Street was like the mall at Christmas. As a matter of fact, every Saturday you came to Main Street. Everything was in Main Street." Today, Main Street looks a little forlorn, symptomatic of the global forces that have buffeted the city. After the textile industry moved overseas in the 1930s, the factory started making electronic components. And when that industry moved overseas, North Adams lost 3,000 jobs. Little was left but a grimy old factory and fading Victorian charm. Still, economics professor Stephen C. Sheppard, of nearby Williams College, finds it charming. He studies the effects of museums on local economies. "There was an initial assumption that having MASS MoCA would transform this Main Street to be like it was in 'the olden days,' " he says. At first, backers estimated the museum would create more than 600 jobs. Sheppard says that's turned out to be fewer than 300. He thinks there was overreliance on an idea that became popular about 10 years ago: That post-industrial cities could turn themselves around by putting in art galleries and developing economies based on what bestselling author Richard Florida called the creative class. But the idea of helping to save a city through art is partly what lured Jonathan Secor to North Adams from New York City. He runs the Berkshire Cultural Resource Center, a nonprofit that supports a smattering of small galleries downtown. Secore remembers when everyone thought MASS MoCA would solve all of the town's problems. It was supposed to be "The Fix," he says. "It's not The Fix. Main Street is still not feeling it and so then we opened Gallery 51 and that was going to be The Fix. Three years later, it's not quite, and then we opened DownStreet Art." Seacor has come to believe that transforming North Adams will take time. His assistant Francesca DeBiaso fervently agrees. She's 22 years old and moved to North Adams from Washington, D.C.
"Something's growing here," she says. "I'm interested to see where it's going to go." Now, townies can be a bit more skeptical about how much art has changed North Adams. In a local dinner, a grizzled biker named Reggie Roy pronounces North Adams about the same. He's lived here for 41 years, and he admits he's never been to MASS MoCA. "That's a bad thing," he says a little sheepishly. "My son's been there. He says, 'Dad, it's not for me. But it's neat. 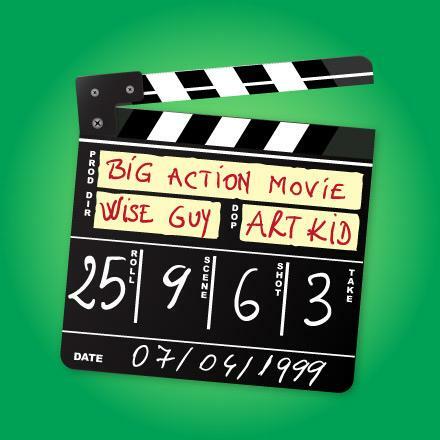 You've got to go see it. It's different. Very different.' "
The museum is dynamic and unstuffy. It favors up-and-comers, not superstars, and lacks the kind of artwork so wildly famous, people flock to North Adams just to see it. MASS MoCA director Joe Thompson says there may have been some miscalculation about how the museum could tap into the area's booming arts tourism. "There's like two and a half million people a year who come to Berkshire County," he says." Very few of them attend multiple institutions." 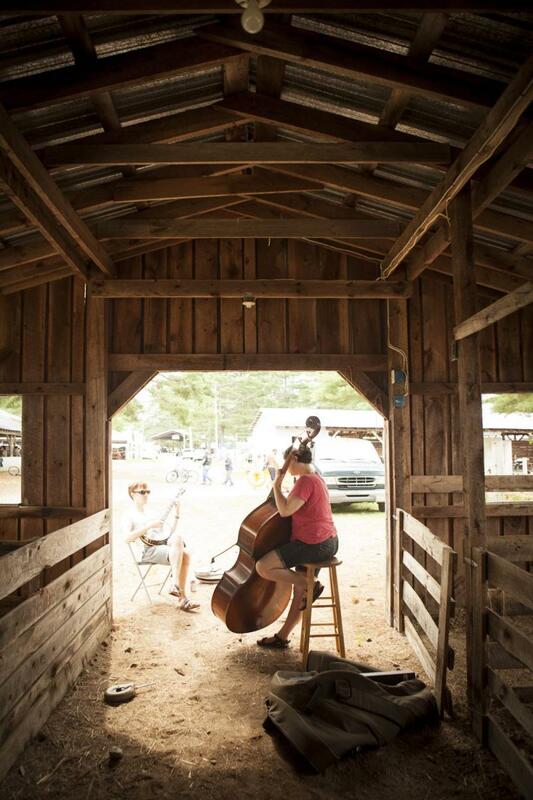 Meaning music fans go to Tanglewood, theater buffs to Williamstown and dance nerds hit Jacob's Pillow. There's not as much overlap as you'd think, although the institutions are working together to better capture audiences. And in terms of living, North Adams is too far away to attract the creative class of Brooklyn or Boston, even though you can buy a sweet live-work loft here for under $40,000. 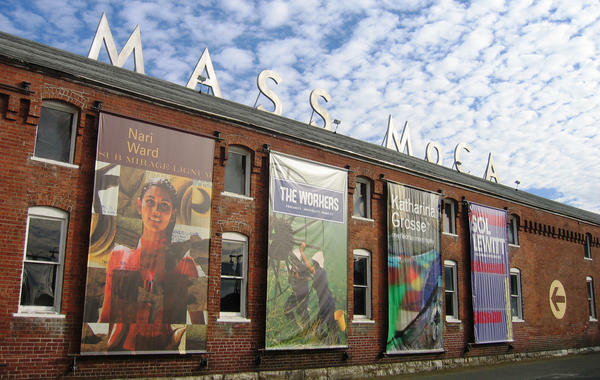 Still, according to MASS MoCA, the museum draws more than 120,000 visitors every year. Thompson says it contributes $15 million annually to the local economy. He remembers taking former factory workers through the old buildings during renovation. He was stunned when one called it "horrible." "And I said, what do you mean, 'horrible'? And she said, 'It's so light,' and I said, mostly we as human beings like light," he recalled. "And she said, 'Oh no. It's terrible. It's so light and empty and when we worked here, these windows were covered. There were bookshelves in front of them and parts bins, and it was dark and full of activity and jobs. And now it's just light. And empty." What this factory makes now cannot be measured in bales or boxes — and it can never be what it was hoped it could replace. This summer, in our series, Destination Art, we've been visiting places that are off the beaten path and known for their lively art scenes. Today, to a small city in the mountains of western Massachusetts, North Adams. It was a crumbling mill town that became an experiment in creating an art-based economy. NPR's Neda Ulaby tells us what happened to the city since an old factory complex was transformed into one of the world's largest museums of contemporary art. NEDA ULABY, BYLINE: Twenty-six hulking brick buildings, 600,000 square feet of raw, sunlit space. One room's filled with over 100 floor-to-ceiling sized drawings. This place is so enormous that it has an interior bridge. Now, it's a sound installation by the drummer of the band, Wilco. ULABY: A hundred years ago, this was a textile factory humming with iron looms and sweaty workers. When the museum opened in 1999, its director, Joe Thompson, talked with an old-timer wistful for the days when work was work and industrial dye did not count as pollution. JOE THOMPSON: She said, oh, growing up, it was so beautiful because, on Tuesdays, the rivers flowed vermilion. On Wednesdays, they were bright green. She said, you could practically keep track of the days by what color the river was. She said, it was just marvelous. ULABY: The Berkshires look fine today without artificial enhancements, says North Adams Mayor Richard Alcombright. RICHARD ALCOMBRIGHT: If you're coming over the mountains, you look down and it looks like we're in the palm of God's hand. ULABY: Alcombright's family has lived among these sloping mountains thick with maples and spruce since the turn of the last century. He remembers when it seemed like everyone in North Adams had a job. ALCOMBRIGHT: The mills were booming. The rivers were horribly polluted. It was just a very, very different time. Our Main Street was like the mall at Christmas. Matter of fact, every Saturday, you came to Main Street. Everything was in Main Street. ULABY: Today, Main Street looks a little forlorn. More than 20 percent of North Adams citizens live below the poverty line. When the textile industry moved overseas in the 1930s, the factory started making electronic components and, when that industry moved overseas, North Adams lost 3,000 jobs, leaving little but a grimy old factory and fading Victorian charm. STEPHEN SHEPPARD: This is a lovely little downtown. I mean, we're sitting here on the sidewalk. You got the umbrellas. You got the coffee shop. ULABY: Stephen Sheppard is an economist at nearby Williams College. He studies the effects of museums on local economies. SHEPPARD: There was an initial assumption that having Mass MoCA would transform this Main Street to be like it was in, quote, unquote, "the olden days." ULABY: At first, backers estimated the museum would create over 600 jobs. Sheppard says it turned out to be less than 300. He thinks there was over-reliance on an idea that became popular about 10 years ago, that post-industrial cities could turn themselves around by putting in art galleries and developing economies based on what best-selling author Richard Florida called the creative class. JONATHAN SECOR: Every time you kicked over a stone, there was a bug under it that started yammering about the creative economy. SECOR: A foxtopus. Part octopus, part fox. ULABY: Secor remembers when everyone thought Mass MoCA would solve all of the town's problems. SECOR: It was the fix. It's not the fix. You know, four years later, Main Street is still not feeling it. And so when we opened Gallery 51, that was going to be the fix. You know, two years later, it's not going - and we did DownStreet Art. ULABY: Secor has come to believe that transforming North Adams will take time. His assistant, Francesca DeBiaso, is 22 years old. She moved here from Washington, D.C.
FRANCESCA DEBIASO: Something's growing here and so I'm interested to see where it's going to go. ULABY: Now, townies can be a bit more skeptical about how much art has changed North Adams. REGGIE ROY: It's about the same. ULABY: In a local diner, a grizzled biker in a leather vest is enjoying breakfast. His name is Reggie Roy. ROY: That's a heck of a French name, isn't it? ULABY: Roy is originally from northern Quebec, but he's lived in North Adams for a very long time. ULABY: And he admits he's never been to Mass MoCA. ROY: That's a bad thing. My son's been there and, you know, he says, Dad, it's not for me, but it's neat. You got to go see it. It's different, very different. ULABY: The museum is dynamic and unstuffy. It favors up-and-comers, not superstars. It lacks the kind of artwork so famous people flock here just to see it. Mass MoCA's director says there may have been some miscalculation about how the museum could tap into the area's booming arts tourism. ULABY: Meaning music fans go to Tanglewood, theatre buffs to Williamstown and dance nerds hit Jacob's Pillow. North Adams is too far away to attract the creative class of Boston or Brooklyn, even though you can buy a sweet live-work loft here for under $40,000. Still, according to Mass MoCA, the museum draws more than 120,000 visitors every year. Director Joe Thompson says it contributes $50 million annually to the local economy. He remembers taking former factory workers through the old buildings during renovation. One called it horrible. THOMPSON: And I said, well, what do you mean, horrible? She said, oh, it's so light. And I said, but, mostly, we, as human beings, like light. She says, oh, no. It's terrible. It's so light and, when we worked here, these windows were covered. There were bookshelves in front of them and parts bins and it was dark and full of activity and jobs, and now it's just light and empty. ULABY: What this factory makes now cannot be measured in bales or boxes, and it can never be what it was hoped it could replace. Neda Ulaby, NPR News. Transcript provided by NPR, Copyright NPR. A group of arts and media business owners have formed a coalition hoping to encourage film and TV production in the Granite State. The New Hampshire Production Coalition is currently developing a legislative plan that would help New Hampshire compete with more film-friendly states like Massachusetts, Michigan, New Mexico, and Louisiana. Tim Egan, of the National Academy of Arts and Sciences, is the coalition’s president. Next week the band Level3 will perform at the Lane Memorial Library in Hampton - despite the fact that Level3 is a fictional band. Confused yet? 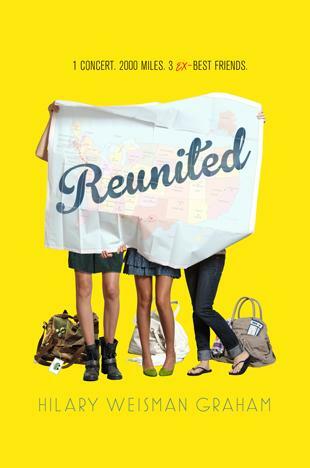 Not to worry – it’s all part of a new young adult novel called Reunited, in which three young women drive from New England to Texas to see the one-night-only reunion concert of their once-favorite band, Level 3.